Knockout roses are pest and disease resistant roses that were bred with the gardener without a green thumb in mind. They brighten up landscaped beds, adding charm to your yard with rose bushes that can grow up to 4 feet tall and 4 feet wide. Because they are so easy to take care of, rooting knockout roses to make more roses bushes is also an easy task. Even though you can take cuttings to root roses anytime during the year, the best time would be November to February, as recommended by Horticulturist Dr. William C. Welsh of Texas A&M University. Rooting a knockout rose can be a trial and error experiment. Take more than one cutting for better results. 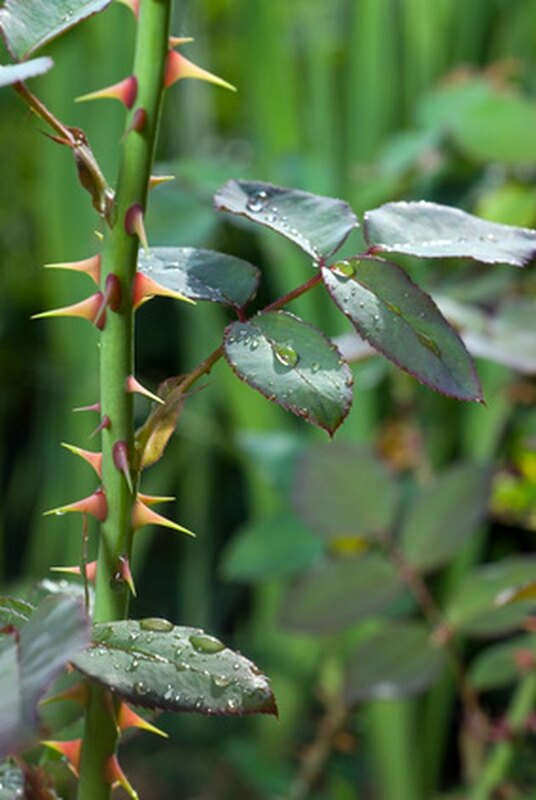 Cut a stem 6 to 8 inches long from the knockout rose bush with a sharp knife at a 45-degree angle. Remove any flowers and leaves, leaving the leaves at the top only. Dip stems in a rooting hormone powder that can be obtained from a flower nursery. Follow directions on label for correct usage procedures. Place two-thirds of the stem into a pot with potting soil and sand at the bottom for drainage, recommends Rose Magazine. Spray a mist of water on the rose cutting and soil. Place a plastic bag over the entire pot and tie with twine. Select a place outside with indirect sunlight. Water just enough to keep the soil moist. Transplant the rooted stem to a permanent garden location in a month when the rose has rooted. Carmen S. Jones is the author the Grammar Minutes Series (grades 1st to 4th) published by Creative Teaching Press. She has a Bachelor of Arts in elementary education from the University of West Florida. When Can I Transplant a Pieris?